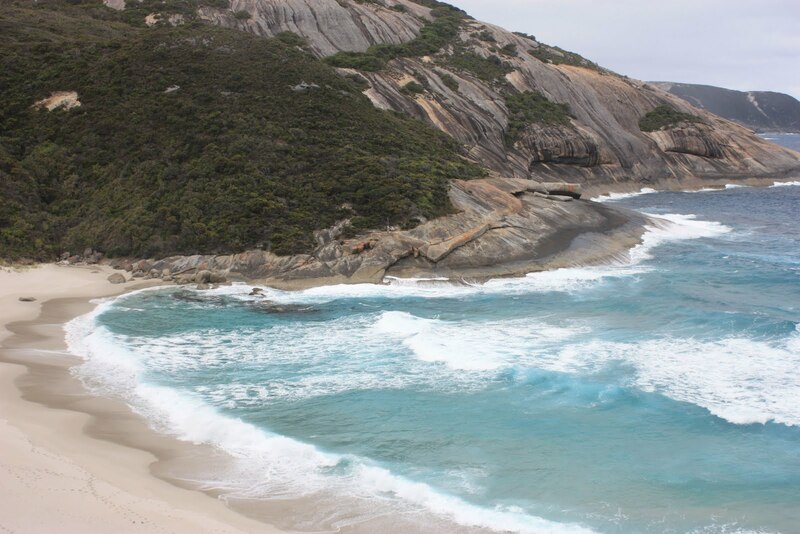 Salmon Holes Beach area is found in Torndirrup National Park and is supposed to be named after the Australian Salmon that seek rest in the shallower waters away from predators such as sharks. WA seem to be 'leading the way' with regards to alternate energy sources. 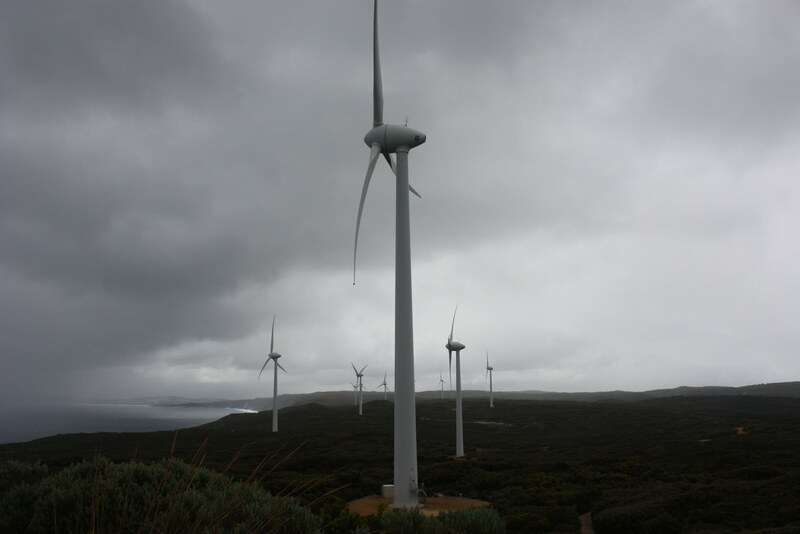 This wind farm similar to the one at Geraldton can supply up to 65% of Albany's requirements. That's a town of around 35,000 people. Good work!! We took the shot just before the shower hit!! 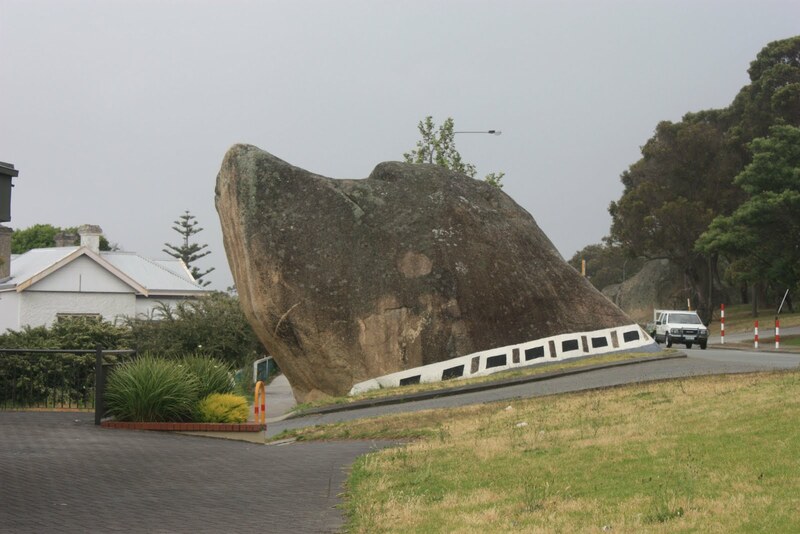 An unusual feature in town is this 'Dogs Head Rock'. A solid granite rock that is just behind a shopping centre!! The addition of the painted collar adds to the effect!! 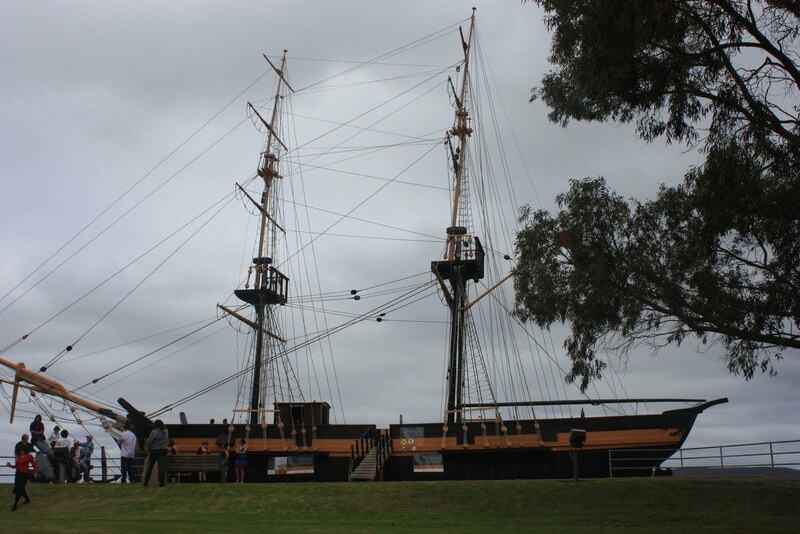 The replica ship 'Brig Amity' is situated near central Albany. 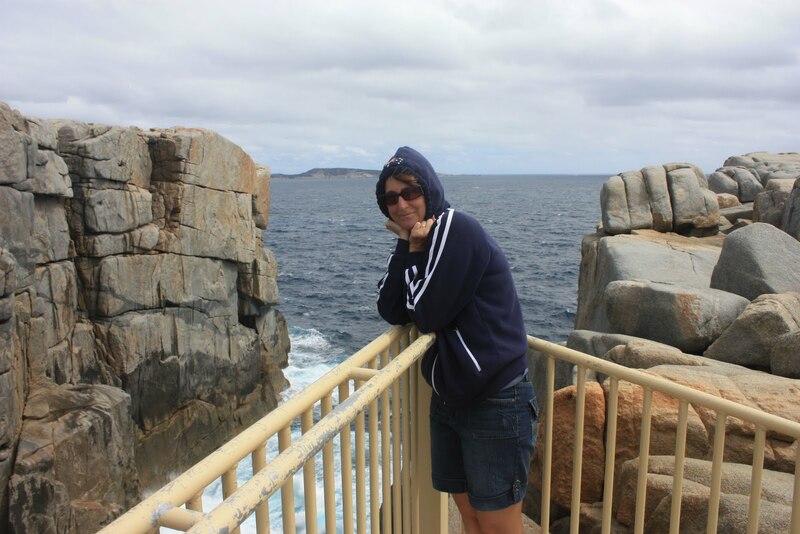 Averaging 22-23 degrees in summer Albany has a temperate climate. 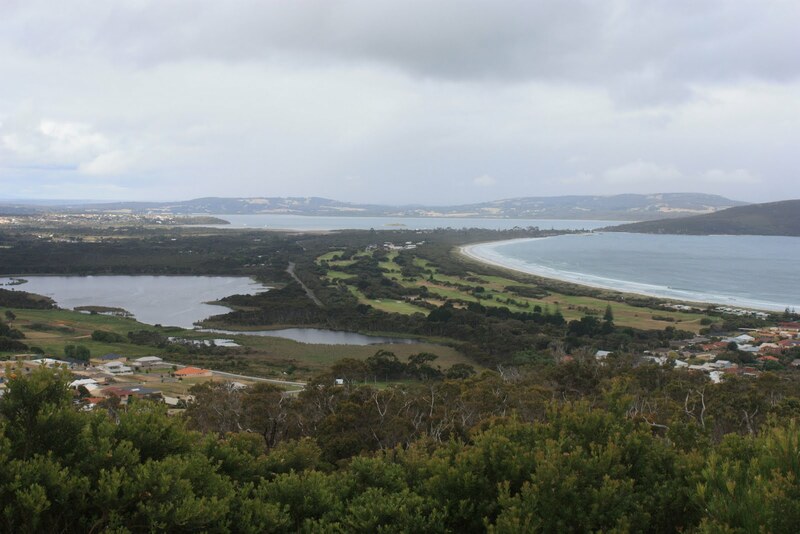 The weather while we were at Albany wasn't the best, however it didn't detract at all from the natural beauty of the area. 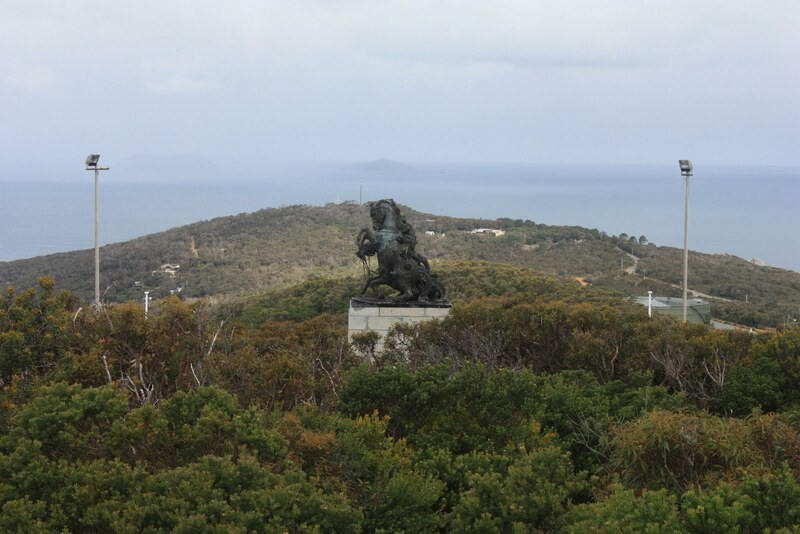 One of the nicest towns in WA. 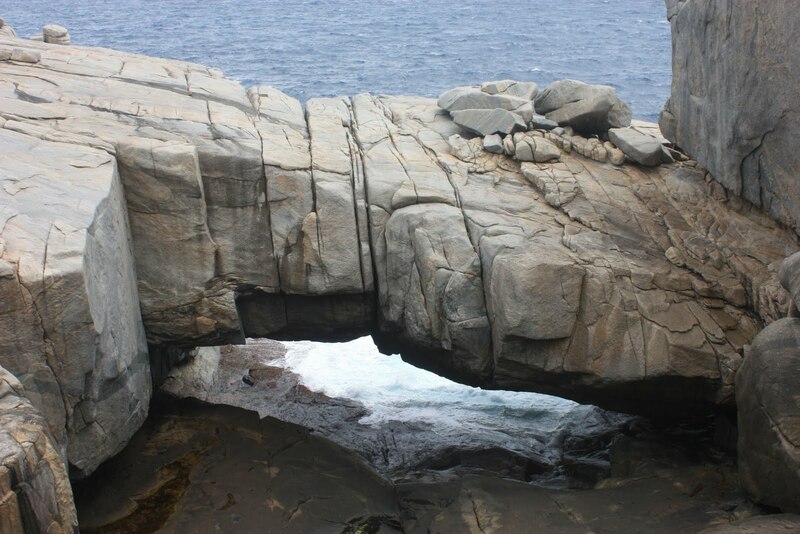 Natural Harbours (Princess Royal & Oyster) and inlets are a feature. 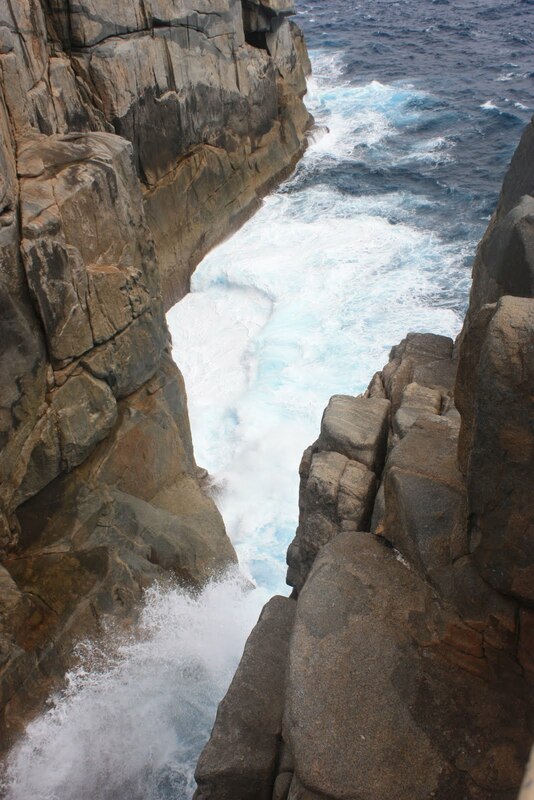 Rugged coastlines and both protected, and unprotected beaches pounded by the southern ocean. 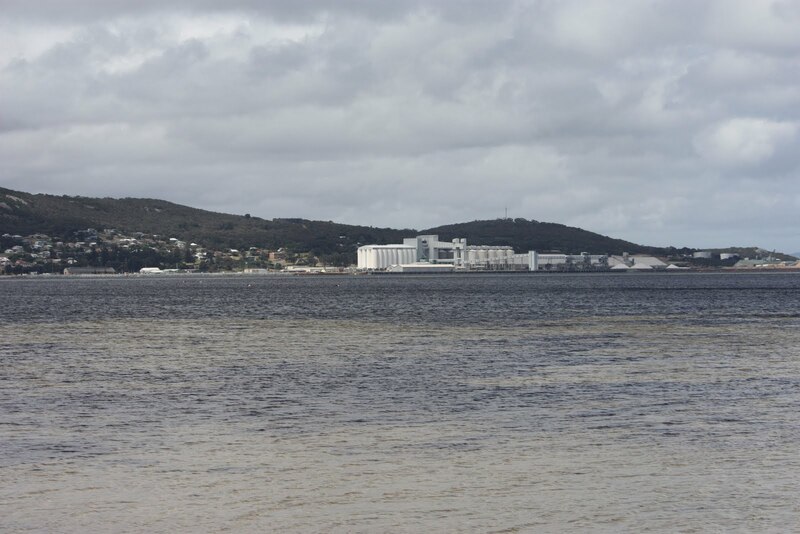 This shot is of the town area from across Princess Royal Harbour.